November 14, 2016 – PTNTL:5: Bea Priestley and Chakara defeated Candyfloss and Livii. November 19, 2016 – FHW Episode 22: Candyfloss defeated Felony. December 2-3, 2016 – WF: Amarah defeated Candyfloss to retain the women’s title. February 5, 2017 – IPW:UK: Candyfloss vs. Chakara vs. Mischa East vs. Nightshade in a gauntlet match ended in a draw. February 11, 2017 – IPW:UK: Lauren and Rhio defeated Candyfloss and Chakara. February 25, 2017 – DOA: Amarah defeated Candyfloss. March 6, 2017 – PROGRESS Freedom’s Road #8: Chakara, Dahlia Black and Jinny defeated Candyfloss, Laura Di Matteo and Livvii Grace. March 7, 2017 – PROGRESS Freedom’s Road #6: Laura Di Matteo defeated Candyfloss. April 7, 2017 – WF: Rocco Casanova defeated Candyfloss. Candyfloss, Oliver Peace, Taylor Essex and Yorghos defeated Josh Faulkner, Matt Walters, Rocco Casanova and Vaughn Vertigo. April 28, 2017 – BPW: Candyfloss defeated Laura Di Matteo. June 4, 2017 – BEW: Laura Di Matteo defeated Candyfloss. June 9, 2017 – BPW: Nina Samuels defeated Candyfloss. June 10, 2017 – BEW: Shotzi Blackheart defeated Candyfloss and Christi Jaynes in a 3-way match. June 25, 2017 – PWP: Bobbi Tyler defeated Candyfloss and Domina in a 3-way match to retain the women’s title. June 27, 2017 – PROGRESS Freedom’s: Chakara defeated Candyfloss. July 1, 2017 – NCL. 5: Candyfloss defeated Little Miss Roxxy by disqualification. July 29, 2017 – Wrestling League: Candyfloss defeated Harley Rae. August 3, 2017 – Riptide: Dahlia Black defeated Candyfloss. August 5, 2017 – ACW: Candyfloss defeated Dahlia Black and Mischa East in a 3-way, quarter-finals match. August 12, 2017 – EVE: Candyfloss defeated Chakara. September 2, 2017 – Wrestling League: Harley Rae and Sid Scala defeated Candyfloss and Josh Shooter. September 9, 2017 – EVE: Nina Samuels defeated Candyfloss. September 29, 2017 – BPW: Candyfloss and Chuck Mambo defeated Ashmore and Livvii Grace. October 2, 2017 – PROGRESS: Jinny defeated Candyfloss in the 1st round of the women’s title tournament. October 6, 2017 – Riptide: Martina defeated Candyfloss, Cara Noir, James Castle and The Lion Kid in a 5-way match. November 3, 2017 – Riptide: Candyfloss defeated Dahlia Black in a candy and sweets death match. November 12, 2017 – PROGRESS Chapter 57: Alex Windsor defeated Candyfloss, Dahlia Black and Jinny in a 4-way match. November 15, 2017 – PROGRESS: Candyfloss defeated Nina Samuels. December 13, 2017 – PROGRESS: Candyfloss and Zoe Lucas defeated Bea Priestley and Laura Di Matteo. December 14, 2017 – EVE: Candyfloss defeated Chakara. January 13, 2018 – EVE: Sammii Jayne defeated Candyfloss to retain the EVE title. Candyfloss was also in the EVE title rumble match which was successfully defended by Sammii Jayne. January 20, 2018 – Good Wrestling #6: Sierra Loxton defeated Beano, Candyfloss, The Love Making Demon and Warren Banks in a 6-way elimination match. February 2, 2018 – Riptide: Candyfloss defeated Cara Noir, Chuck Mambo, Roy Johnson, The Lion Kid and Veda Scott in a 6-way match to qualify for the Riptide Brighton title match. February 3, 2018 – ACW: Big T. Justice and Omari defeated Candyfloss and Chris Brookes. February 10, 2018 – EVE: Kaitlin Diemond defeated Candyfloss, Erin Angel and Leah Owens in a 4-way elimination match. February 25, 2018 – PROGRESS Chapter 65: Candyfloss and Zoe Lucas defeated Jayde and Shax in a dark match. March 2, 2018 – Riptide: Candyfloss defeated Charlie Evans. March 3, 2018 – Riptide: Charlie Morgan defeated Candyfloss. March 10, 2018 – NCL. 9: Shax defeated Candyfloss. March 14, 2018 – PROGRESS: Chakara & Craft Beating Company (Ashmore and Matt Walters) defeated Candyfloss & Never Say Die (Alex Cupid and Dillon D’Angelo). March 31, 2018 – ACW: Candyfloss defeated Sammi Baynz in the semi-finals. April 7, 2018 – SWA: Candyfloss defeated Chakara, Jayde, Kat Von Kaige, Millie McKenzie, Shax and Xia Brookside in a 7-way match. April 14, 2018 – Stardom: Candy Floss defeated Shiki Shibusawa. April 15, 2018 – Stardom: Oedo Tai (Hana Kimura and Natsu Sumire) defeated Candy Floss and Martina. April 21, 2018 – Stardom: Oedo Tai (Nao Yamaguchi and Natsu Sumire) defeated Candy Floss and Shiki Shibusawa. April 22, 2018 – Stardom: Mary Apache, Natsumi and Starlight Kid defeated Candy Floss, Kaori Yoneyama and Leo Onozaki. April 30, 2018 – Stardom: Saki Kashima defeated Candy Floss in the 1st round of the Cinderella tournament. May 3, 2018 – Stardom/Oedo Tai Produce: Candy Floss defeated Hanan. May 5, 2018 – Stardom/Oedo Tai Produce: Queen’s Quest (AZM, Bea Priestley, Chardonnay, Konami and Momo Watanabe) defeated Candy Floss, Mayu Iwatani, Saki Kashima, Starlight Kid and Tam Nakano. Candyfloss was also in the costume battle royal won by Mayu Iwatani. May 6, 2018 – Stardom/Oedo Tai Produce: Candy Floss, Jungle Kyona, Kaori Yoneyama, Mary Apache and Natsuko Tora defeated Mayu Iwatani, Natsumi, Saki Kashima, Shiki Shibusawa and Tam Nakano in a tag team elimination match. May 20, 2018 – Stardom: Candy Floss and Zoe Lucas defeated Hanan and Tam Nakano. May 23, 2018 – Stardom: JAN (Kaori Yoneyama, Leo Onozaki and Ruaka) defeated Candy Floss, Hanan and Starlight Kid. May 27, 2018 – Stardom Afternoon Show: Zoe Lucas defeated Candy Floss and Leo Onozaki in a 3-way match. May 27, 2018 – Stardom Evening Show: Konami defeated Candy Floss. June 1, 2018 – Riptide: Candy Floss defeated Chakara. June 30, 2018 – CTW: Talia defeated Candy Floss. July 18, 2018 – PROGRESS: Charlie Morgan defeated Candy Floss. July 22, 2018 – TCW: Chakara defeated Candy Floss. July 28, 2018 – SWA: Candy Floss defeated Kat Von Kaige. August 2, 2018 – Riptide: Candy Floss defeated Cara Noir in the 1st round. August 3, 2018 – Riptide: Spike Trivet defeated Candy Floss in the quarter-finals. Big T. Justice defeated Candy Floss, Dan Magee, Fraser Thomas, Kurtis Chapman, Lion Kid, Martina and The OJMO in a 8-way match. August 27, 2018 – PROGRESS Chapter 75: Millie McKenzie defeated Candyfloss, Chakara, Charlie Morgan and Laura Di Matteo in a 5-way match to become #1 contender for the women’s title. September 19, 2018 – ATTACK! : Candy Floss defeated Damian Dunne, LK Mezinger, Mike Bird, Shay Purser and Spike Trivet in a 6-way match. October 5, 2018 – Kamikaze Pro: Chris Ridgeway defeated Candy Floss, Chris Tyler, DeReiss, Jack Starz and NIWA in a 6-way match to become #1 contender for the Kamikaze Pro title. October 20, 2018 – SWA: Kat Von Kaige defeated Candy Floss in a candy death match. October 21, 2018 – TCW: Candy Floss defeated Chakara. November 2, 2018 – Riptide: TK Cooper defeated Candy Floss, Jack Sexsmith, Millie McKenzie, Morgan Webster and Viper in a 6-way match to become #1 contender for the Brighton title. December 5, 2018 – NXT UK (Taped): NXT UK women’s champion Rhea Ripley defeated Candy Floss in a non-title match. December 8, 2018 – GWF: Candy Floss defeated Chakara and Tracy in a 3-way match. January 2, 2019 – NXT UK (Taped): Jinny defeated Candy Floss. 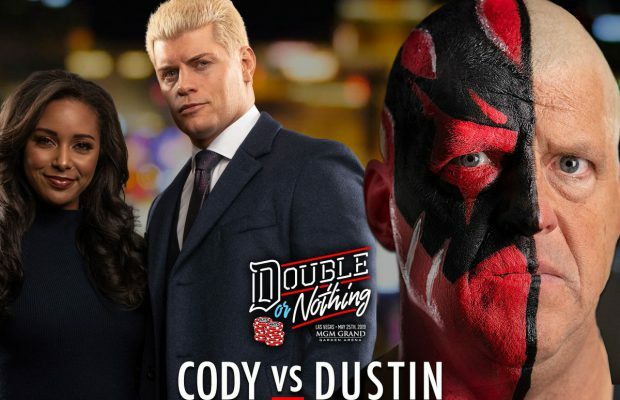 February 2, 2019 – BODYSLAM! : Candy Floss defeated Laura Di Matteo. 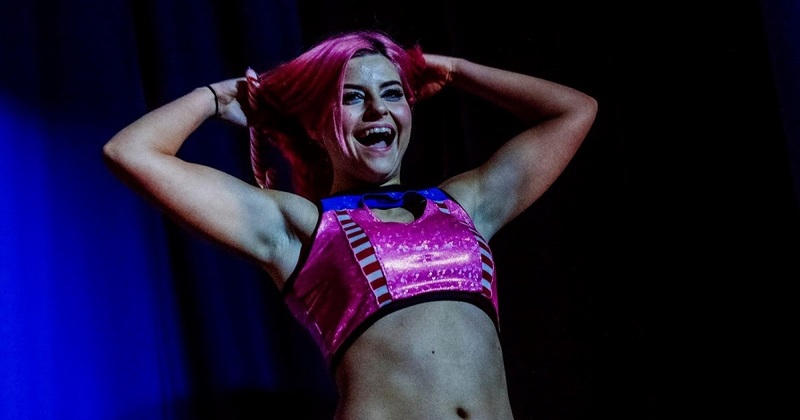 February 6, 2019 – NXT UK (Taped): Xia Brookside defeated Candy Floss. @CFlossWrestler Which one is your favorite? Have a Spot of Tea M'Lady!